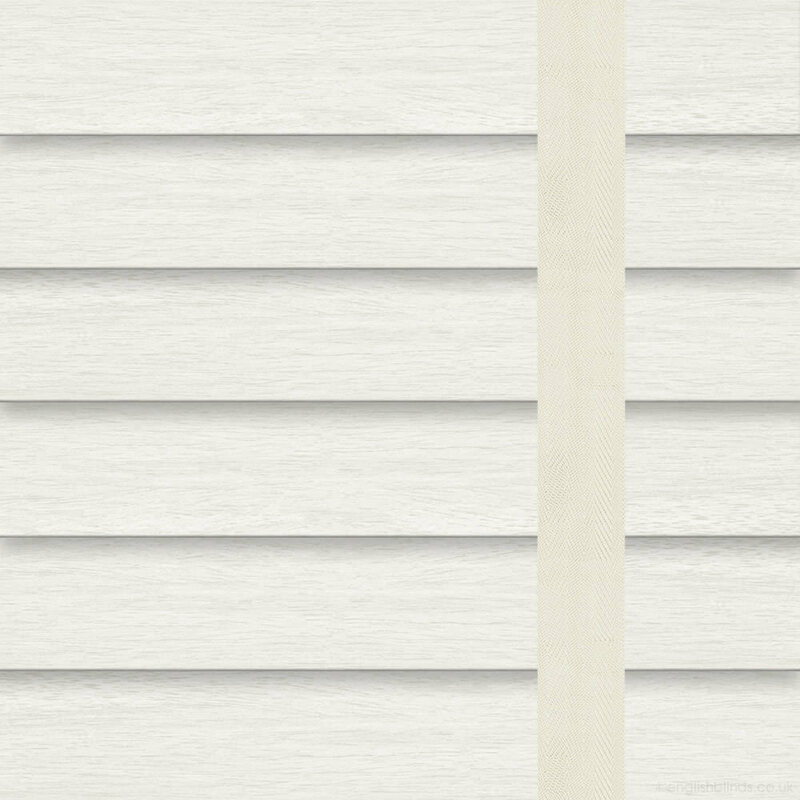 These beautiful creamy off white faux wood blinds feature a smooth natural wood grain finish with complementing creamy chiffon tapes. 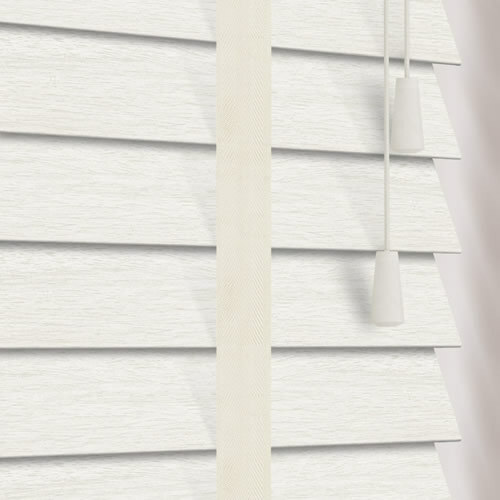 They are the ideal way to create a soft cosy look at the windows and the fact their PVC slats are 100% waterproof and extremely robust means they are perfectly suited to the kitchen or bathroom. 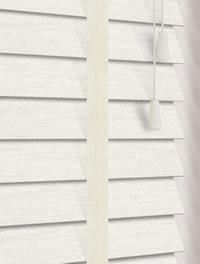 The first time we have ordered with English blinds and I would like to say they were excellent, the samples came the next day. 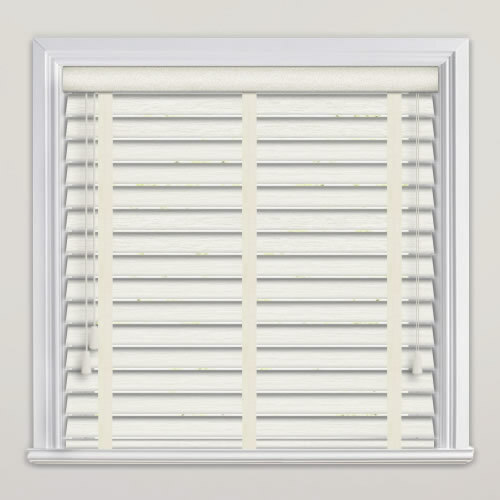 The blind is very good quality. Excellent service, very easy ordering, quality products and delivery within quoted timescales.